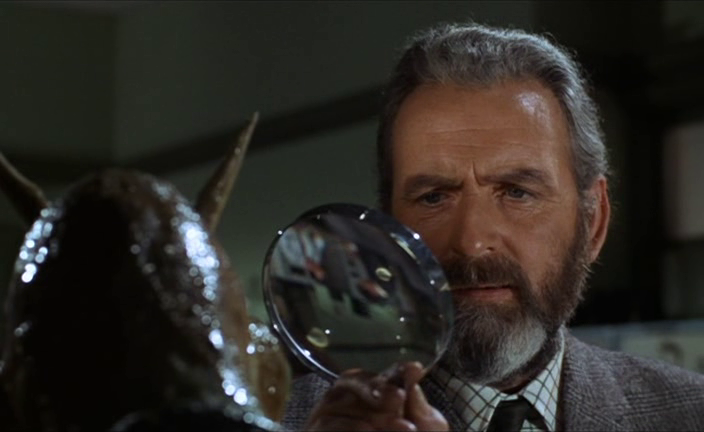 When a team of anthropologists led by Dr. Mathew Roney (James Donald) and his assistant (Barbara Shelley) discover a cylindrical object and primate bones in an underground construction site, rocket scientist Dr. Quatermass (Andrew Keir) is brought to the scene. He eventually determines the object is a spaceship rather than a bomb, and that the bones are evidence of an ancient Martian race that landed on Earth five million years ago. 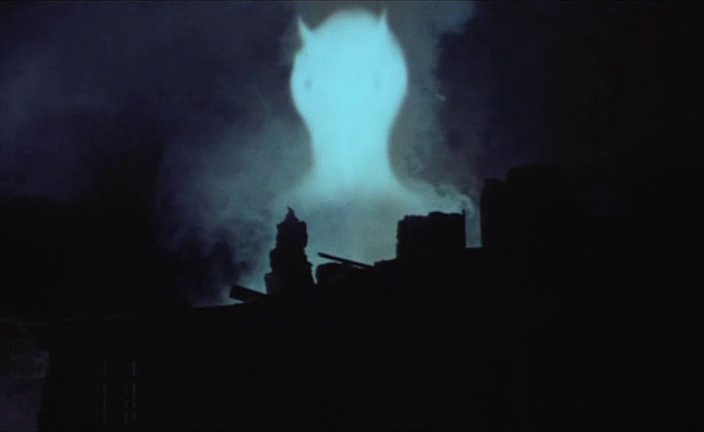 Peary argues that this “exceptional, extremely intelligent, thematically controversial science-fiction film” — the third of screenwriter Nigel Kneale’s “BBC-TV serials to be filmed” — “still hasn’t received due recognition in America”. He notes that while the “film is complicated”, it’s “always fascinating and exciting”, and is “skillfully directed by Roy Ward Baker”. 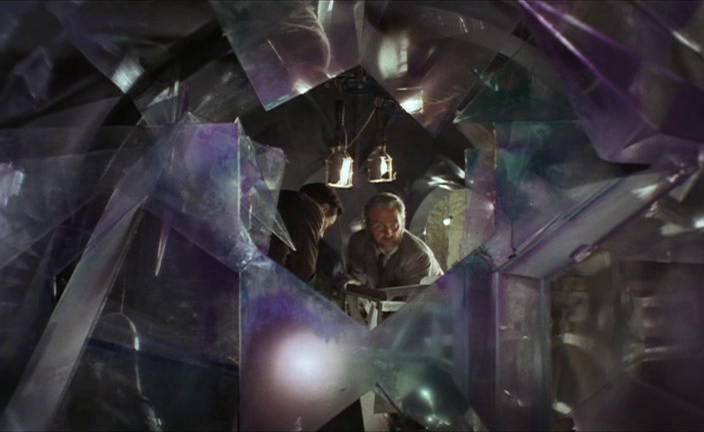 While I agree with Peary that Five Million Years… is provocative and well-made, I disagree with his assertion that it’s “Hammer Studios’ best film”, and will actually admit to preferring its less colorful and less flashy predecessor, The Quatermass Experiment (1956). 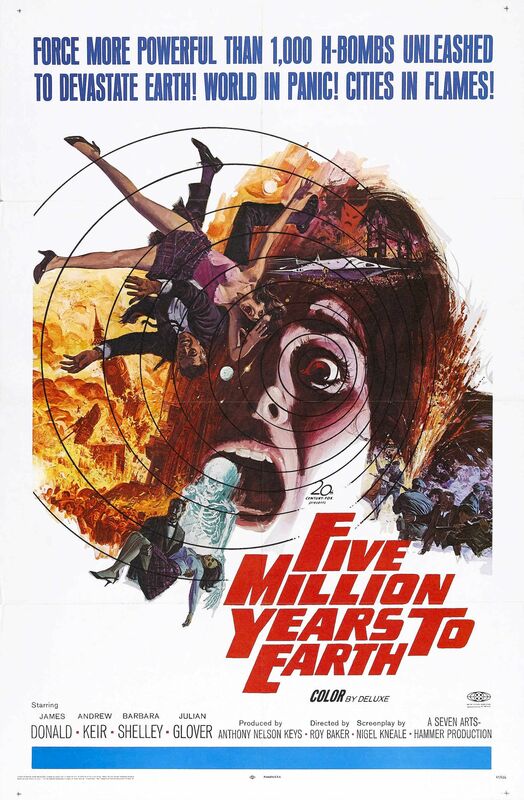 Five Million Years… is often compared to Stanley Kubrick’s 2001 (1968), given that both explore “the intriguing theme of ‘race memory'”, with the distinction that “whereas Kubrick’s humans retain memories of ‘God’ from their ape ancestors who had contact with extra-terrestrials”, the “Martian insect-creatures” in this film apparently had contact “with the devil” — thus lending it a different type of horror vibe than Dave’s interactions with H.A.L. This finely produced cult flick is certainly worth a look by all film fanatics, but I’m going to go against the grain in not considering it must-see. No, though it’s certainly worth a look as a cult favorite. Discussed at length in Peary’s Cult Movies 3 book. First viewing – agreed: not must-see. Whether taken as sci-fi or sci-fi horror, this is ultimately a frustrating film experience for several reasons. …the main one being that the film is just too talky. A lot of time is spent on simply *establishing* the source of the threat, all of which is done so methodically that one is tempted to doze off. In other words, narrative thrust is left wanting. This slow-burn tactic continues with each step of the film. Although there are little teases of excitement as the plot progresses, it becomes somewhat confusing as to what the actual danger is. …along with that, we’re at the 2/3 point when what’s going on begins to appear silly (esp, visually). Throughout, director Baker (normally a very confident filmmaker) seems to over-compensate by adding questionable tension elements. Although there is, at least, a welcome full-throttle leap in the last 10 minutes (and a key question is finally answered), the film’s conclusion, unfortunately, reads more as convenient than believable.